Jacob Edmond’s work places the discipline of comparative literature against a deeply cosmopolitan, yet rarely juxtaposed, series of lyrical contexts. From the stakes of high modernism to the controversies over global literature and contemporary geopolitics, his discussions are admirable in their linguistic range, erudition, and critical vision. 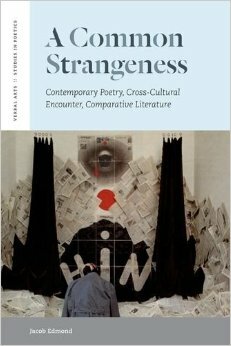 Cultural encounter, that experience so typically poised between strangeness and commonality, becomes here a poetic event. An original, sophisticated, and remarkable book. Shaden Tageldin makes a forceful case for how Egyptian writers, intellectuals and activists used translation across the nineteenth and twentieth centuries to express their ambivalent and intense engagements with the occupying powers of Britain and France. 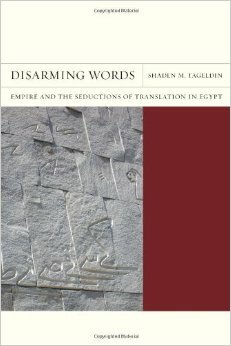 Focusing on how translators rendered notions of Europe and the European into the idioms of the Arabic-Islamic word, as well as how they rendered European fantasies of the oriental Other, Tageldin advances a theory of translation as seduction, involving relations of intimacy, fascination, and power. At once scholarly, elegant and astute, ranging across both well-known writings and forgotten literature, moving with ease among Arabic, English and French, Tageldin’s book offers a model for why the history of translation should be central to colonial and postcolonial studies.